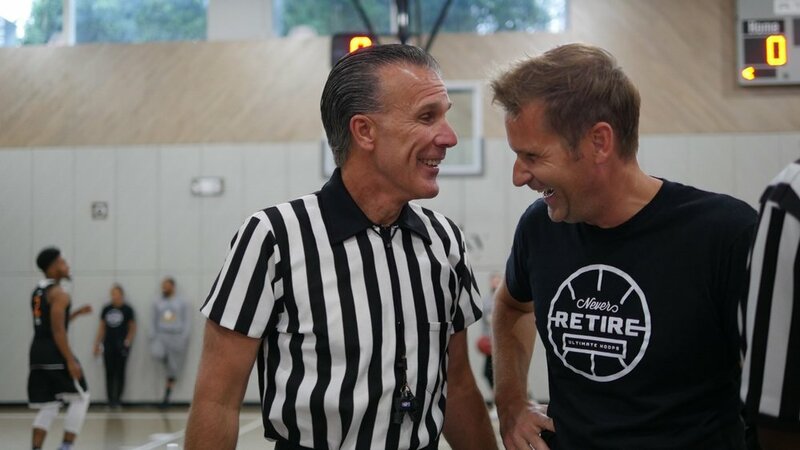 Sharing a laugh with NBA official Kenny Mauer (also a sports entrepreneur!) at the Ultimate Hoops National Championship event in New York City last August. Do these fears in starting a business sound familiar? How big is the recreational sports market? I love hearing about new ideas, new products and new companies. My blog's goal is to share my experiences to help others transform their ideas into a real, sustainable businesses. Each week, I will share stories of my wins and losses, helpful tips and actionable steps to launching and scaling your own business in the recreational sports industry. I will encourage your comments so I can answer your specific questions and help you push through the barriers and fears. If this blog fails to help you start your own venture or grow your existing business, I've failed! When I started Ultimate Hoops in 2006, Twitter was a month old. Facebook had "only" 12 million active users compared to the 2 billion it enjoys today. There was no Squarespace, Square or Stripe. Crowdfunding platform Kickstarter was still three years away from launch. Today, it's never been easier to start your own sports business, especially in the recreational sports industry where consumers continue to search for new experiences. In future posts, I'll share how leveraging today's technology can reduce your start-up costs and grow your online community at a faster rate than anytime in history. 2018 is the greatest time to be a business owner. Seize this moment! Here are a few responses when I told my family friends about my idea of starting Ultimate Hoops. "Alan, you need a business degree if you want to start a business!" "Alan, you need investors to start a business!" And my personal favorite from a dear friend: "Wait Alan, YOU want to start a basketball company? But you're not even that good at basketball!" Despite the doubters, Ultimate Hoops has grown to become the largest recreational basketball league and fastest growing basketball skills training business in America. Through our acquisition by Life Time, our products and services are available in 110 Life Time locations (and growing!) in 35 major markets across 27 states in the U.S. and Canada. In 2018, the Ultimate Hoops vision of bringing a professional basketball experience to hoopers of all ages and skill levels marches on. What you do need is an original, differentiated idea and passion to execute every day, 24/7. But Be Warned: There is no shortcut in starting a business. You need to work. Every day. 24/7. Which is why it's vitally important to find something you love to do. Conversely, starting your business will be the most rewarding endeavor you will ever do. I am excited for you to get started! 50 million people play recreational sports in America. It is a vastly untapped market if you have a truly differentiated product. For investors, recreational sports provide a lucrative and growing marketplace worthy of investment. Further, sports continue to be deeply integrated in our education system, from elementary through intramural programs at universities. Unlike businesses built upon the latest fitness fad, global sports like basketball, will remain transient-proof. They provide a solid foundation to build a sustainable business plan. Over time, people will continue to look for ways to disconnect from technology and engage with other like-minded sports fanatics. Combined the growing macro-trend of health and fitness, recreational sports will be one of the primary experiences consumers seek. Will you be ready? Write down three things preventing you from starting your business. Please email them to me. In a future post, I'll aggregate the most popular responses and offer feedback. Thank you for reading, visiting and being part of my community. Let's get started!